Celebration of the grand opening of the reimagined children’s library at the Grants Pass Library on May 7. 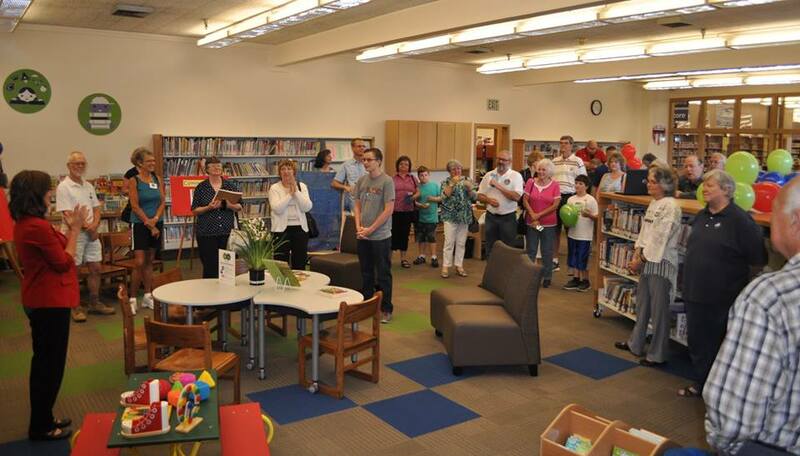 This month, Josephine Community Libraries hosted the grand opening of the newly reimagined and renovated children’s library at the Grants Pass branch, just in time for the Summer Reading Program in June. With the help of more than 20 funders, our children’s library is now updated to better serve families in Josephine County. Monies raised have been used to purchase new books, mobile shelving units, furniture, paint, and carpet. And, everything is flexible, meaning all the new furniture is on wheels so we can easily make room for larger crowds and more programs. If you haven’t seen the recent renovation, please stop by our branch library and check it out. You are sure to be amazed. At the heart of the redesign is a special area for the youngest members of our community (birth to three-year-olds) with age-appropriate, interactive literacy material. For our older children, we created a separate area for the 4–8 age group and the 9–12-year-olds. Items such as Accelerated Reader (AR) books that support reading in schools are much easier to locate, and bulletin boards with parent information offer community outreach. We’ve also added a puppet theater, building blocks, a larger storytime area, and a multimedia maker space for robotics classes. Thank you to all of the individuals, businesses, and foundations that have funded this project. 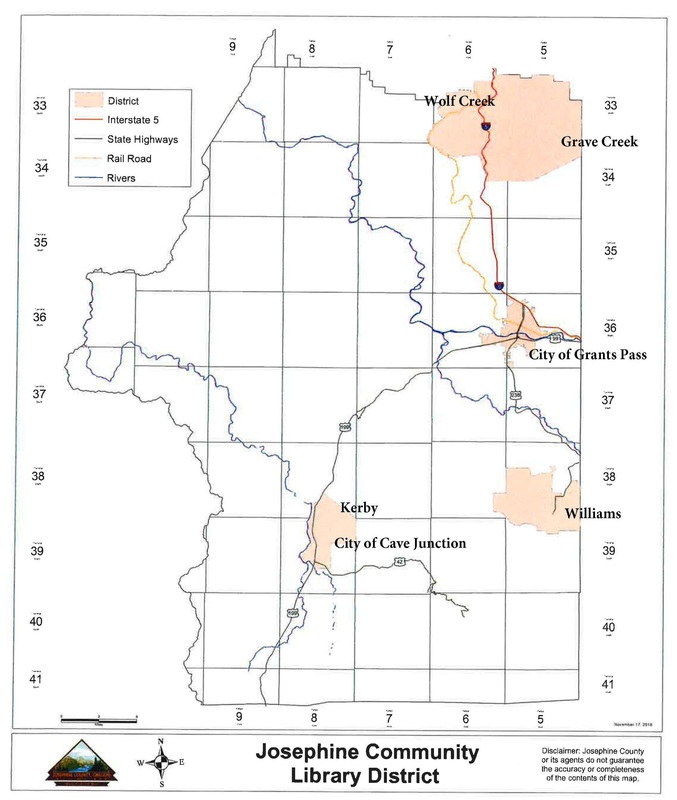 Business and foundation funders for the 21st-Century Children’s Library Project include Avista Foundation, Bank of the Cascades, Robert & Frances Chaney Family Foundation, City of Cave Junction, Dutch Bros., Four Way Community Foundation, George R. Borders Memorial Fund, Josephine County Cultural Coalition, Josephine County Library Foundation, Kiwanis Club of Grants Pass, Oregon Community Foundation, Oregon’s Kitchen Table, Southern Oregon Education Service District/Gilbert Creek Child Development Center, Welch Investment Group LLC, and Wheeler Toyota. The following slideshow features children and families enjoying the grand opening of the newly renovated and reimagined children’s library in Grants Pass on May 7.